Blackwater Worldwide, the real-life mercenary team linked to the killing of civilians and noncombatants in Iraq during U.S. operations there, will be the subject of a Kinect-supported videogame coming to the Xbox 360 later this year. Published by 505 Games and titled, simply, Blackwater, the game is being produced in consultation with the private security contractor’s founder, the former Navy SEAL Erik Prince. A news release called it “an intense, cinematic shooter experience,” set in a fictional North African town, in which players, as Blackwater operatives, battle two warlords’ factions to protect the city. The game may also be played using a standard controller. Blackwater, renamed to Xe Services LLC, was contracted by the U.S. government to provide training and diplomatic security, most notably in the Middle East, for much of the last decade. 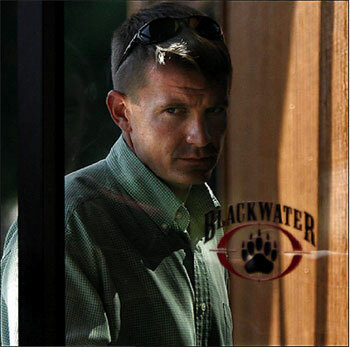 Its presence alongside U.S. diplomatic and military personnel came under scrutiny after several incidents resulting in the deaths either of civilians or Blackwater employees themselves. AMY GOODMAN: The United Arab Emirates has confirmed hiring a company headed by Erik Prince, the billionaire founder of Blackwater. According to the New York Times, the UAE secretly signed a $529 million contract with Prince’s new company, Reflex Responses, or R2, to put together an 800-member battalion of mercenaries. 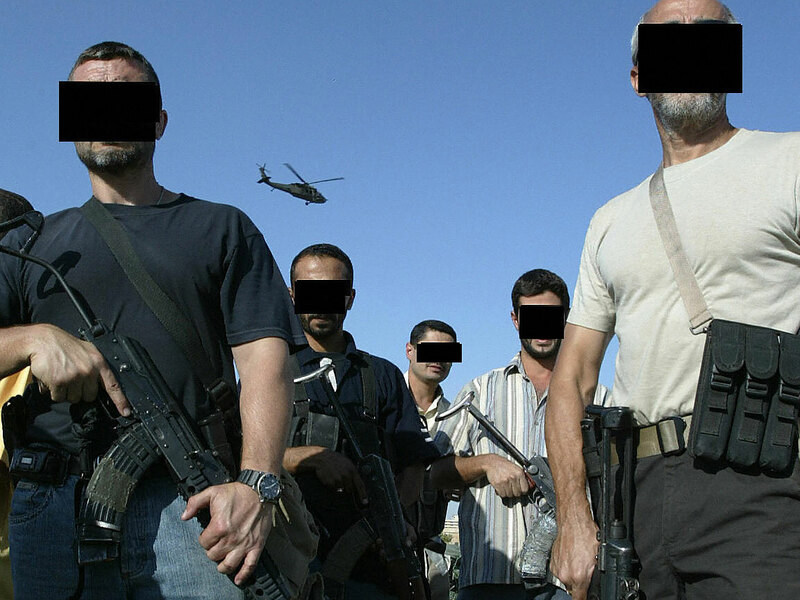 A number of U.S. citizens, including former Blackwater employees, have occupied senior positions in the operation. Legal experts have questioned whether those involved might be breaking federal laws prohibiting U.S. citizens from training foreign troops if they did not secure a license from the U.S. Department of State. The force is reportedly made up of Colombians, South Africans and other foreign troops. Prince reportedly has a strict rule against hiring any Muslims because he’s worried they could not be counted on to kill fellow Muslims. Prince himself now lives in the United Arab Emirates after moving their last year under a cloud of legal controversy here in the United States. The UAE deal is the first to emerge publicly since Prince sold Blackwater and suggested he would leave the private military business behind. For more, we’re joined by independent journalist, Democracy Now! correspondent, Nation writer, Jeremy Scahill, author of the award-winning bestseller Blackwater: The Rise of the World’s Most Powerful Mercenary Army. Jeremy was the first journalist to report on Prince’s move to the United Arab Emirates, two months before it was publicly confirmed. 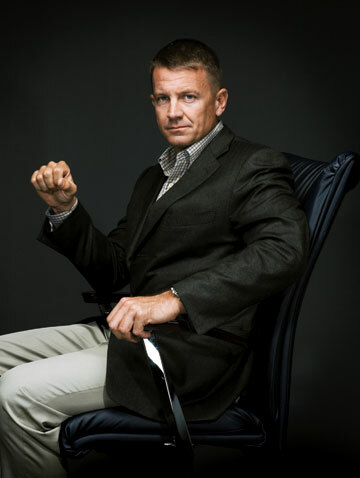 When Erik Prince, founder of the infamous mercenary company Blackwater, claimed in early 2010 he was leaving the soldier of fortune business, he said he’d decided to pursue a less dangerous and controversial line of work. “I’m going to teach high school,” he said, straight-faced, in an interview with Vanity Fair. “History and economics. I may even coach wrestling. Hey, Indiana Jones taught school, too.” It was an interesting comment. As fans of Indiana Jones will recall, the whip-wielding archaeologist was indeed a professor. 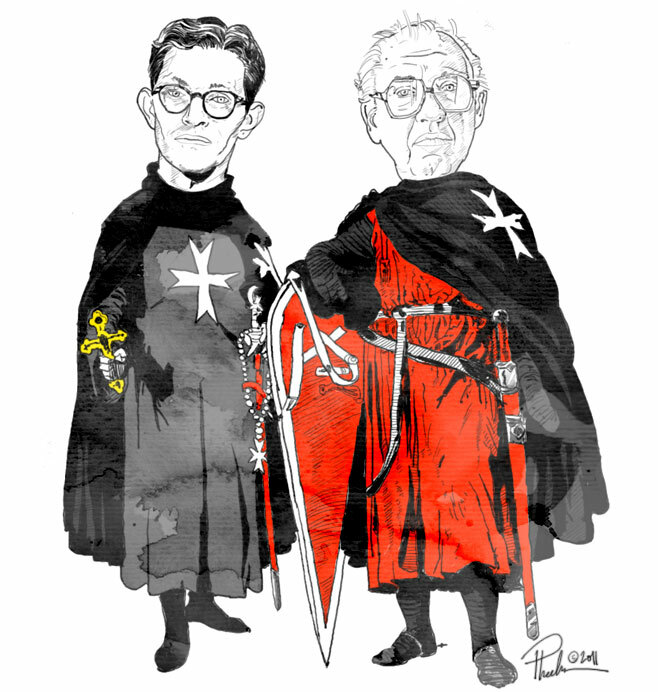 But what he did on the side—traveling the globe in search of potentially history-altering artifacts—was his real passion. In one confrontation with his arch-nemesis, archaeologist René Emile Belloq, who is working for the Nazis, Jones threatens to blow up the Ark of the Covenant with an RPG. “You’re going to give mercenaries a bad name,” Belloq tells him. The contract between R2 and the UAE kicked in last June and is slated to run through May 2015. According to corporate documents on the private army Prince is building in the UAE, its potential roles include “crowd-control operations,” defending oil pipelines from potential terrorist attacks and special operations missions inside and outside the UAE “to destroy enemy personnel and equipment.” Other sources said the Emiratis wanted to potentially use the force to quell potential rebellions in the country’s massive labor camps that house the Filipinos, Pakistanis and other imported laborers that fuel the country’s work force. Prince also has plans to build a massive training base, modeled after the 7,000 acre private military base Blackwater built in Moyock, North Carolina. In a speech Prince delivered in late 2009, a copy of which was obtained by The Nation, Prince spoke of the need to confront Iranian influence in the Middle East, charging that Iran has a “master plan to stir up and organize a Shia revolt through the whole region.” At the time, Prince proposed that armed private soldiers from companies like Blackwater be deployed in countries throughout the region to target Iranian influence. “The Iranians have a very sinister hand in these places,” Prince said. “You’re not going to solve it by putting a lot of uniformed soldiers in all these countries. It’s way too politically sensitive. The private sector can operate there with a very, very small, very light footprint.” In addition to concerns of political expediency, Prince suggested that using private contractors to conduct such operations would be cost-effective. “The overall defense budget is going to have to be cut and they’re going to look for ways, they’re going to have to have ways to become more efficient,” he said. This particular choice is interesting given the past treatment of Colombians by Prince’s companies. In 2006, thirty-five former Colombian troops on contract in Iraq with Blackwater claimed that the firm had defrauded them and was paying them just $34 a day for a job that earned exponentially more for their US and European counterparts. The Colombians said they were originally promised $4000 a month but learned of their greatly reduced pay only after arriving in Iraq. When they protested and demanded to leave Baghdad, Blackwater officials reportedly “threatened to remove us from the base and leave us in the street in Baghdad, where one is vulnerable to being killed, or, at best, kidnapped.” Eventually the Colombians were repatriated. In 2007, one of the Colombian recruiters who had hired the men for Blackwater, was gunned down in Bogotá. This time around, the Colombians were reportedly paid about $150 a day and were recruited by a Caribbean-based company called Thor Global Enterprises. The Colombians were issued visas by the UAE’s military intelligence branch, allowing them to breeze through customs without being questioned. An American who runs another security company in the UAE told The Nation that news of Prince’s company is “a fricking PR disaster” for the UAE, adding that it will mean “some of the other Sheikhs will want answers about what a private Christian army was intended for.” Prince’s name has also surfaced in connection with another mercenary company, Saracen, in Somalia. The United Nations has suggested that the company violated a UN arms embargo. Among the other Americans working closely with Prince on building the private army in the UAE is a former FBI Agent named Ricky “CT” Chambers. He recently ran Blackwater’s training program in Afghanistan that was registered under the shell company name of Paravant. That arrangement remains the subject of multiple Congressional and federal investigations in the US and two former Paravant operatives were convicted in March of the manslaughter of two Afghan civilians. Chambers is being paid about $300,000 a year, while US contractors, with experience in Iraq and Afghanistan, are being offered pay packages worth up to $200,000 a year to work for Prince in the UAE. United States government lawyers are investigating reports that the former owner of a controversial private security firm has been hired to form a mercenary army for the rulers of the United Arab Emirates. 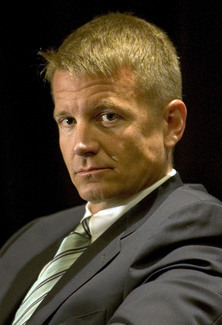 Erik Prince, the former owner of Blackwater Worldwide, which was accused of multiple killings of civilians in Iraq, has signed a deal to train Colombian and other recruits in a private “foreign legion” to take part in special operations at home and even abroad. Among its potential tasks are to defend the UAE from uprisings and terror attacks and if necessary to take part in any conflict with Iran, according to the New York Times. Mr Prince was hired by the Crown Prince of Abu Dhabi, Sheikh Mohammed bin Zayed al-Nahyan, who oversees most of the country’s security policies and is a close American ally. He is also one of the Gulf’s most hawkish leaders on relations with the Islamic Republic across the narrow waters of the Gulf. According to the report, the 580-strong battalion has been established in Zayed Military City, just off the main road linking Abu Dhabi to Dubai, alongside Emirati troops, and provided by Mr Prince with trainers, mostly veterans of the American, British and German armies and special forces. No Muslims have been recruited, for fear that they would be unwilling to kill fellow Muslims, the report said, though it did not explain how that squared with the policy of many Gulf regimes including the UAE to recruit members of their police and armed forces from poorer Arab countries across the region. The US government is understood to be examining whether laws which require American citizens to be licensed before providing training to foreign forces have been broken. But the contract is being managed through a firm called Reflex Responses which is said to have 51 per cent Emirati ownership. Blackwater Worldwide faced prosecution over the deaths of 14 civilians in Baghdad in 2007, in an incident which brought accusations that the many private contractors operating in Iraq, in many cases former American and British soldiers, were operating outside legal controls. Mr Prince renamed his company Xe after the incident, and after selling it eventually moved to Abu Dhabi, an oasis of security in a region which has provided profitable contracts for private security firms. He is said to have organised protection for shipping from Somali pirates, and to be preparing a standing freelance militia which could be hired out to countries facing a security crisis. Both the UAE government spokesman and the American Embassy said they had no comment on the report. 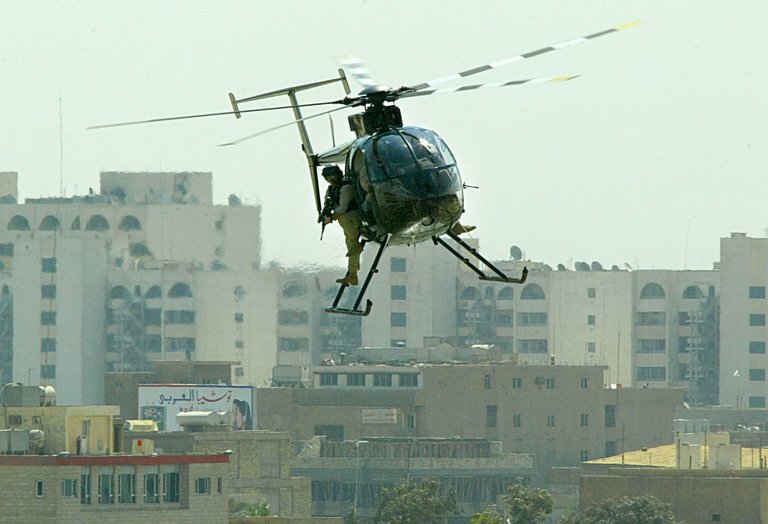 A helicopter belonging to the US private security company Blackwater flies over Baghdad in 2004. WASHINGTON — A US appeals court has reopened the prosecution of four former Blackwater security guards accused of killing 14 Iraqi civilians in 2007, documents obtained by AFP Sunday showed. The decision overturns a 2009 ruling by a district judge that cleared the Blackwater guards of the allegedly unprovoked attack saying prosecutors had broken State Department immunity rules. “The district court made a number of systemic errors based on an erroneous legal analysis,” the three-judge panel wrote in Friday’s unanimous decision. Iraqi Prime Minister Nuri al-Maliki welcomed the move. “This confirms the ability of the US justice system to make right and achieve justice, and we are confident that the families of the victims will receive their rights and the criminals will be punished,” Maliki’s spokesman, Ali al-Mussawi, told AFP. The 2009 ruling had outraged the Baghdad government, which maintains 17 people were killed. Twenty people were also wounded. The Nisoor Square case was among the most sensational that sought to hold Blackwater employees accountable for what was seen as a culture of lawlessness and lack of accountability in the company’s Iraqi operations. Blackwater was then the largest private security firm employed by the Americans in Iraq, but it pulled out of the country in May 2009 after the government refused to renew its contracts. It has always maintained that its guards opened fire in self-defense. A fifth security guard has been cleared over the Nisoor Square incident while a sixth employee of Blackwater, which is now known as Xe, pleaded guilty in December to attempted homicide.